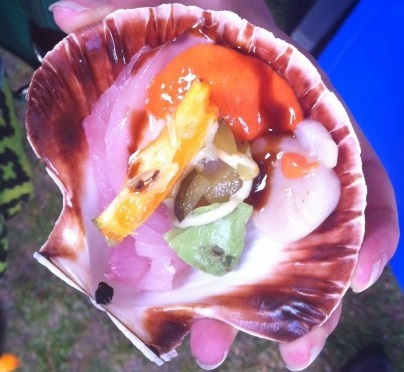 I love festivals and I love scallops so when I heard about the Whitianga Scallop Festival it was a no brainer. I got tickets and a few weeks before the festival I started looking for accommodation. Big mistake! It was a lesson I’d learn again soon enough. These small towns often do not have accommodations to support everyone who comes for the event. I got lucky! Just as I was thinking we’d need to stay in another town I found an 8-person dorm room. I made the booking with a request that if a private room became available we’d prefer to upgrade. We got lucky again when we checked in! Whitianga is located on the east coast of the Coromandel peninsula. Route 25 quickly became my least favorite road in all of NZ. With its hairpin turns and cars riding my bumper, the 2.5-hour drive felt like at least 4. I know we will be back to Coromandel some day and I am already dreading the ride. 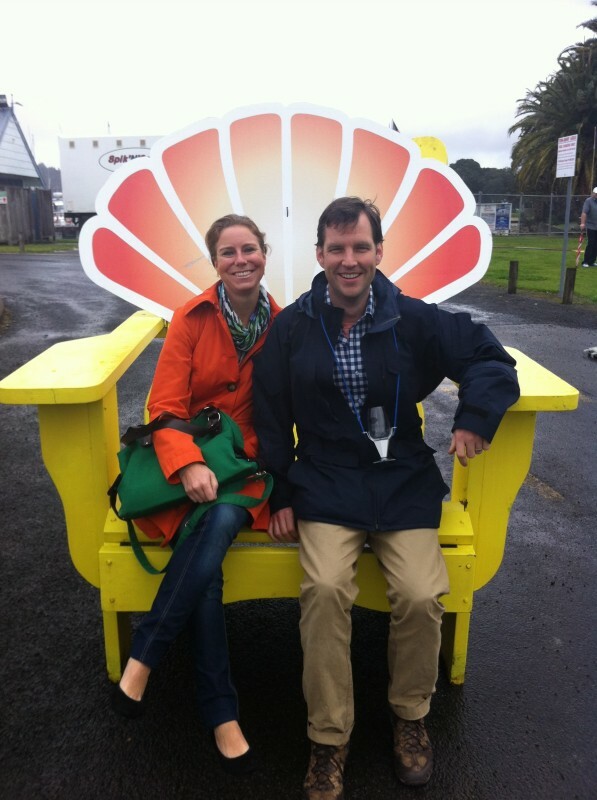 Anyhow, the Whitianga Scallop Festival almost made up for the treacherous drive. It rained off and on throughout the day, ruining my black ballet flats; but perhaps the rain kept people away? Although a few menu items (bacon wrapped scallops) were sold out before we got there, most tents had little, if any, line. We were pleased with the variety of scallops and wines on offer. We sampled scallop sashimi, deep fried scallops, garlic fried scallops, and more! The venue was large enough for different bands to play simultaneously on stages at opposite ends of the festival. We had so much fun the organizers where cleaning up by the time we finally left. brekkie at the one cafe in town.